1.9 How to Make Sure Your Galaxy A7 is Rooted? In this Guide, You will be able to Learn How To Install TWRP Recovery And Root Samsung Galaxy A7 and Unlock Bootloader. Today we are here with Detail guide on Root Samsung Galaxy A7. Rooting is the process of allowing users to Android Devices, like Smartphones, tablets and other devices running the Android Operating system to attain privileged control over Android System. it gives access to the Android system codes. it allows customizing the Android Software on the Android Phone or Installs other custom ROMs that the Device manufacture wouldn’t normally allow you to do. 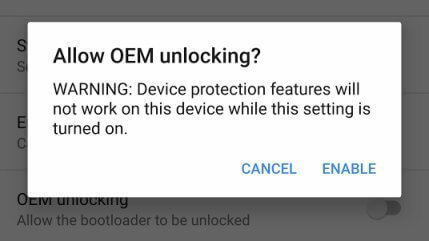 Odin Tool is the Firmware flashing Tool which allows the user to modification in all Samsung Android Devices. And Odin is Windows-based software Which is developed by Samsung internal developer team for Flashing Stock Firmware and stock recovery, Custom Recovery on Samsung Android Device. Also Used by Samsung Service Center for Installing Stock Firmware. Odin Tool is completely Free Software. it supports all Samsung Devices. Anyone Can use it. also, it is free. The user can Flash Samsung Stock Firmware. The User easily flash custom firmware on Samsung Devices. You can Install Custom Recovery. Root Your Samsung Device using Odin Tool. You can Flash Custom Kernels. Make sure you have a charging percentage more than 70%. Make sure you have unlocked the bootloader of Samsung Galaxy A7. Step 1:- First of all Download Odin Tool on your Windows PC. Extract files from the Odin over to your PC. To Do that:- Right Click on the Odin File and select Extract Here. Step 2:- Make Sure you have Install USB Driver. if you haven’t then Download it from the download section and install it. Step 3:- Now Open Odin tool on your Windows PC. Step 4:- Now Reboot your Galaxy A7 into Download mode. To Do That:- Turn off the Device ->> Press Volume Down + Home + Power key together until your Device boot into download mode. Step 5:- Now Connect your Device with Computer via USB cable. Step 6:- You will see the message ID: COM in Odin, it means your phone is connected fine. Make sure you have check marked Auto Reboot and F. Reset Time in Options. Step 7:- Now Click on PDA or AP option and navigate the TWRP Recovery .tar file. Step 8:- Now simply hit the start button on the Odin tool. If everything goes ok then you will see a green PASS message on the Odin. Now your Android Device reboots into the TWRP Recovery. You have successfully flashed TWRP Recovery on your Samsung Galaxy A7. Step 8:- Wait for few seconds to flash the SuperSu on your device. That’s it!! Now your Samsung Galaxy A7 is Rooted. Happy Rooting. How to Make Sure Your Galaxy A7 is Rooted?